Today is the start of our Noah's Ark Art Quilt. This is our plan we will be following. Instead of making a piece each week, I'm going to be taking this one really slow and we can make a piece each 2 weeks. This will give anyone who also has a busy life time to join in and be able to also keep up. No rush with this one. 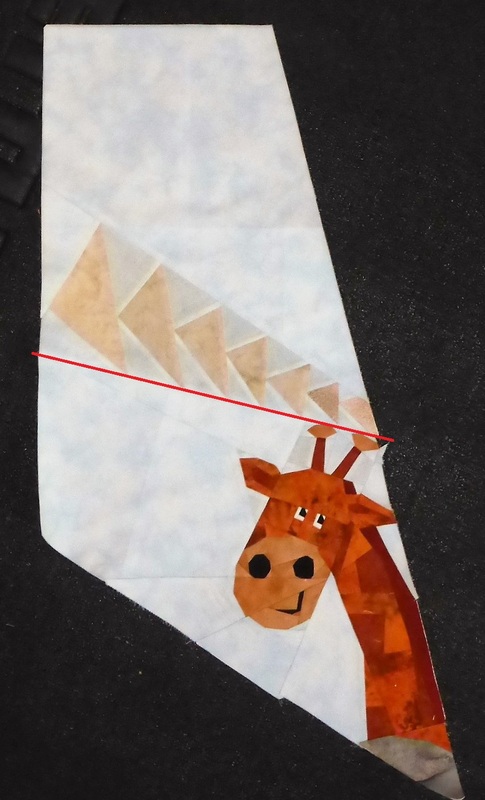 If you have an understanding of how paper piecing works and have already made a few beginner blocks etc, then Im not joking, you will be able to make this one too. Paper piecing always works the same way. It doesn't get any "harder". We all need to push ourselves to try new things and to improve our skills. 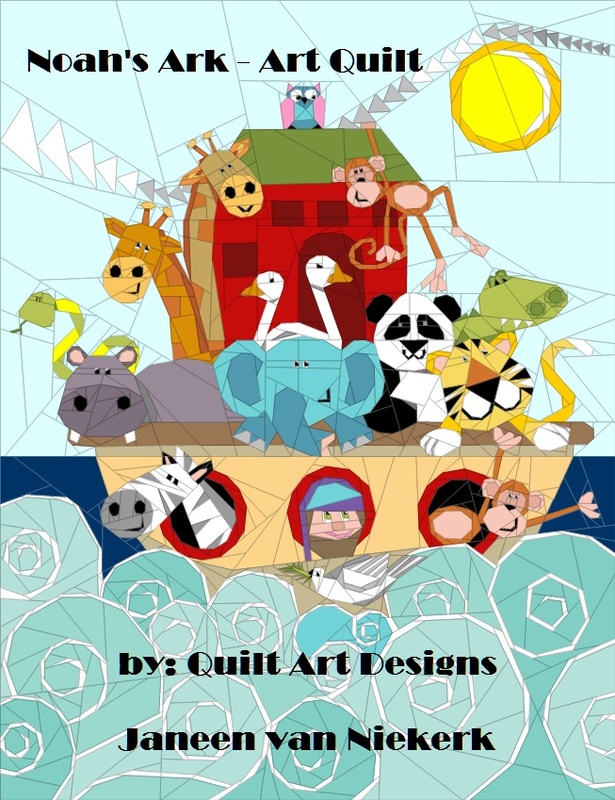 This Noah's Ark quilt top is made by Ulrike Brandl of Germany. She has graciously shared her photos with me and we will be using them to record all of the progress on this Quilt A Long. Ulrike - Thank You so very much for everything you do for me. I love your quilt so much!! I wish I lived a little closer so that I could come over and give you a huge big hug. Thanks friend, this is so amazing! 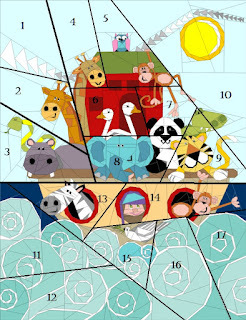 ** This is the top half of the Noah's Ark. We start with Section #1 and you need to find pattern piece A. Note: The software will cut some of the pattern pieces into smaller sections if it cannot fit onto the page when printing. You will notice that it says on some pieces (glue to #23 for example). 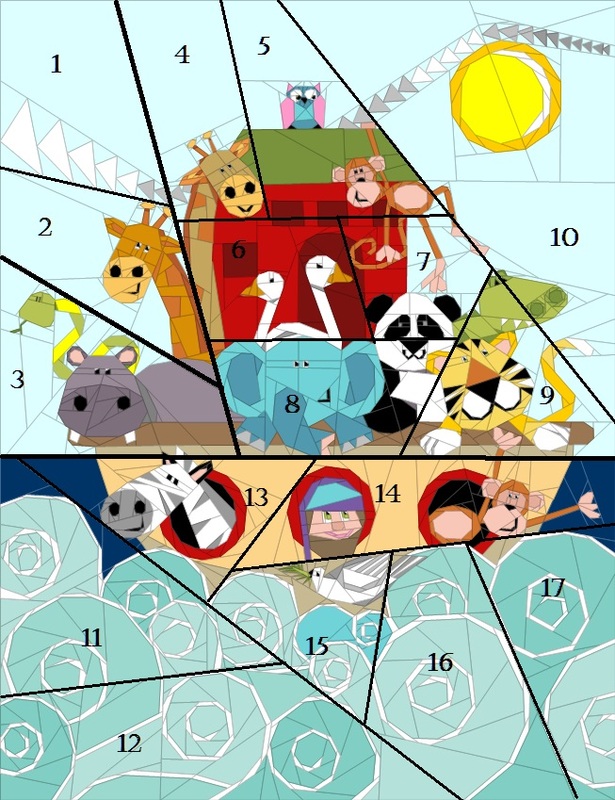 You find all your pieces with corresponding numbers and then can use either sellotape or glue to stick these pieces together to make one piece of the pattern. You need to match up all the lines. If you use sellotape then remember not to iron over it later and if you use glue, make sure its dry before sewing that piece. For section #1 we will make the flying geese and the sky. Its the top half of this photo. The bottom half of the photo is Section #2 that we will all tackle once everyone is happy with our section #1. You are more than welcome to go on ahead if you feel the pace is too slow for you. No problem.